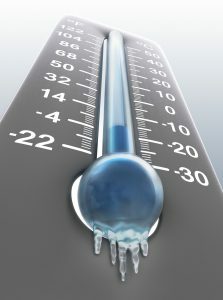 Masonry walls give your building the strength that it needs while also helping to control the temperature inside! The strongest aspect of a building is its walls. The walls of a building are what keep it standing and give it the strength and durability that it needs. Using masonry materials for walls helps to make them even stronger while also helping to control the temperature inside of the building. 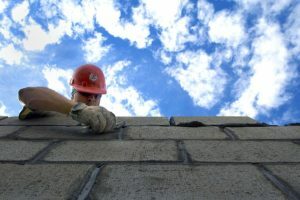 Here are some of the different types of masonry walls so that you know which is best for your next construction project. These masonry walls are typically made with stone, cement, or concrete blocks. They are made to hold the weight that transfers from the roof to the building’s foundation. Load bearing walls are used for both the interior and exterior of a building and are more economical compared to walls with framed structures. Hollow masonry walls help to keep moisture from getting into the building by putting space between the outside and inside of the wall. The space that is in between the walls keeps heat from getting through the walls, hence helping to better regulate the temperature inside the building. If moisture does get inside the walls, the hollow part will allow it to easily drain downward and out. 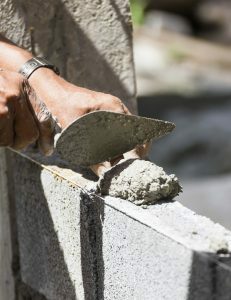 Two or more different units are used to construct composite masonry walls. 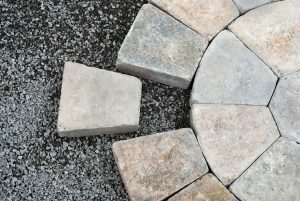 Typically, a unit is either stone and hollow bricks or bricks with hollow bricks. They take multiple wythes of masonry (a section of masonry that’s one unit in thickness) and bond them together to form the wall. These walls provide a really nice look and are also economical. These masonry walls are built to withstand very strong forces and weather conditions such as earthquakes and strong winds from tornadoes and hurricanes. Post-tensioned masonry walls have rods that run straight through the core of the masonry units. Once the walls are finished, the rods are then tensioned and attached to the steel that is at the top of the masonry walls. If you want your building to be low-maintenance, protected from rotting, and sound proof, you should use masonry materials! 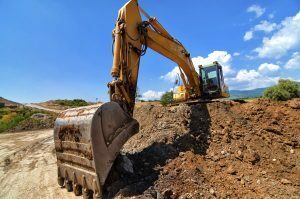 One of the most important parts of putting together any building or structure is the materials you are going to use to do so. You want your building or structure to be built nicely and last a long time, which is why you should choose masonry materials to do so. There are so many benefits to using masonry materials and while we wish we could tell you all of them, here are a few. Masonry materials block out noise way better than traditional construction materials. This means that when you are inside of a building that was made with masonry materials, you don’t have to worry about being disrupted by outside noises. 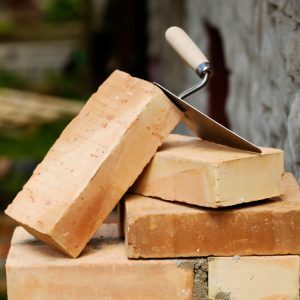 Since there is no wood used in masonry, there is nothing that can rot over time. 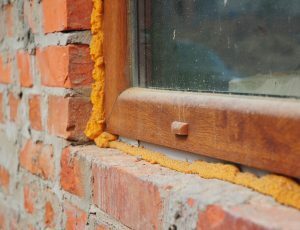 In addition to this, masonry materials can reduce and even eliminate the amount of fungus or mildew that builds up over time between the walls. 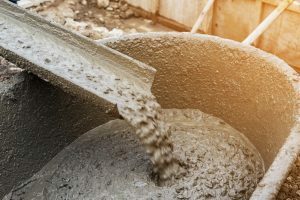 These build-ups can lead to foundation problems as well as health problems to people who are regularly inside the building. When you use masonry materials in their natural form, they generally don’t require much maintenance at all. 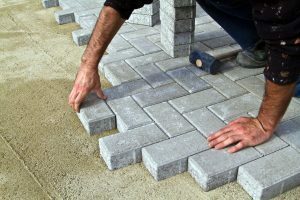 Aside from cleaning every now and again or replacing the mortar if need be, you don’t have to worry about your masonry for years to come. 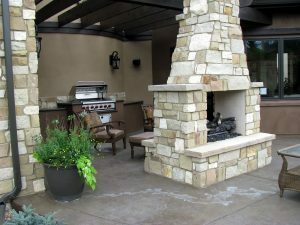 The natural look of masonry materials also provides a beautiful, elegant look. If you choose to use concrete block as your preferred masonry material, you are helping to save money on those costly utility bills. This is because concrete block is very well insulated so it stores more energy. It keeps the heat in during the winter and the cool air in during the summer, which means you can turn your air conditioning and heat down some. Masonry materials are natural, so they are also eco-friendly.